I was invited back to the Restaurant at Sweetwell to sample the new menu. The invitation was extended to me by Zomato and again I got to meet some amazing people at the Sweetwell Revisited meetup. They are fully licensed serving a small selection of local red and white wines. We were given a choice of wines with our meal and one of them was the Saxenburg Private Collection Shiraz 2015 (R270 per bottle). This was full of red berries and cherries and perfect. For lunch we were offered the choice of anything off the menu, limited to two courses. 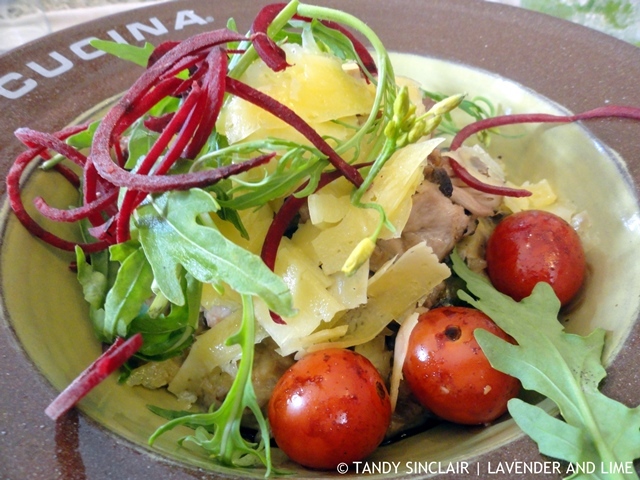 Given that it is a pork farm, and this is Chef Hennie’s speciality, I chose the pulled pork risotto (R155). I had previously tried the porking big burger (R130), slow roasted pork belly (R175) and the slow 4 hour roasted whole eisbein (R155) so wanted to try something new. I was not disappointed at all by my choice. Unlike an Italian risotto, this was all about the pork with the rice playing a supporting role. Something I would certainly order again. 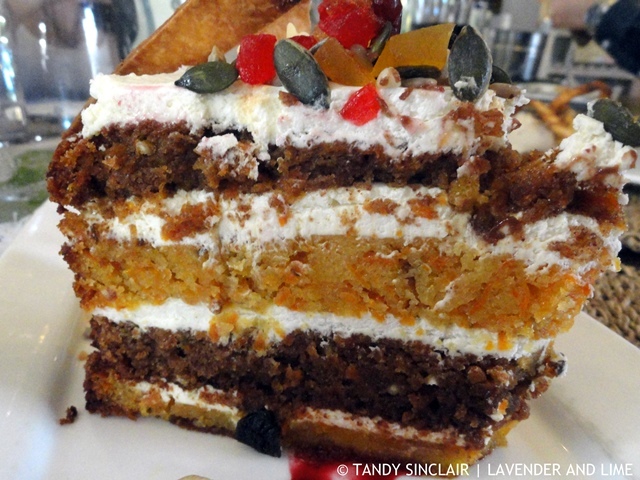 I could however not pass up the opportunity to order the famous Sweetwell carrot cake (R60) again and I am glad I did. The recipe was developed 6 years ago and the Turkish influences make it oh so moreish. I think it was the most photographed dessert of the day. The restaurant has a new pastry chef and the other diners chose Jeanne-Marie’s creations. The salted caramel chocolate ganache (R62) and the Amarula cheesecake deconstructed (R55) being the most popular choices at the table. Disclosure: I was invited to lunch by James Hobbs of Zomato. The cost of the meal was covered and I left a generous gratuity for the staff. Service was excellent and it was well deserved. I was not required to blog about my experience. This post is in line with my blogging policy. Sounds like a wonderful place, carrot cake happens to be my favorite, I bet this was delicious. Sounds lovely, Tandy. I have made a note to try this restaurant when we are next in the area. The dishes all sound delicious. I don’t suppose there is any hope of sourcing the recipe for Sweetwell’s carrot cake! Ah well one can but dream here in Australia.